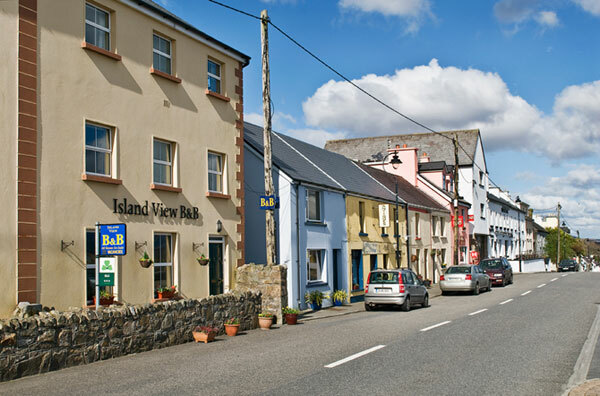 Island View is a family run Bord Failte approved Bed and Breakfast which is centrally located in Roundstone, Connemara’s prettiest village. Guests are warmly welcomed with home baked scones in our residents’ lounge which has an open fire, tea and coffee facilities, original art, books and board games. It’s the ideal location for you and your family to relax and recharge after a day exploring the breath-taking Connemara mountains and seascapes or touring the many nearby visitor attractions. We have a wealth of local knowledge and do our best to ensure an unforgettable stay in Roundstone. We are open all year round and offer luxurious accommodation at affordable prices.